A passionate Operating Department Practitioner (ODP), since 1985 and joined the University of Hull in 2003. 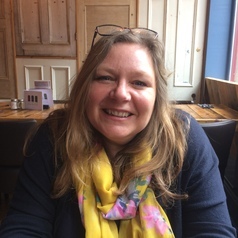 Currently Deborah is a Senior Lecturer and Head of School for the school of Health and Social Work at the University of Hull. Her clinical expertise was in anaesthetics and scrub practice with a particular interest in Maxillo-Facial, Ear Nose and Throat interventions, awake intubation and difficult airway management. Deborah formally moved into education in 1996, within the clinical environment; shortly followed by part-time guest lecturing in HE. In 2002 she joined Higher Education on a permanent basis. On an international and national level she was integral to the curricula development of the Diploma in Higher Education and then chaired the national review of this curriculum; producing the BSc (hons) Operating Department Practitioner curriculum in conjunction with the College of Operating Department Practitioners. Deborah supervises a range of masters’ stage students, including Making a Difference Through Work Based Learning and dissertation students.